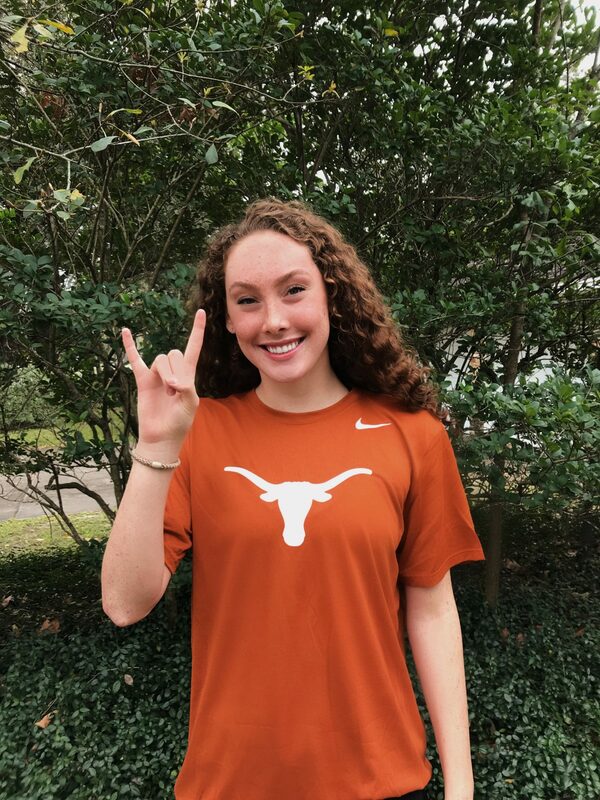 Ellie McLeod of DADS Club Swim Team in Houston, Texas has announced that she will stay in-state and swim for the University of Texas as a part of the class of 2024. Primarily a sprint freestyler, McLeod also boasts a time in the 100 breast that would have taken 8th at the 2019 Big 12 Women’s Championship meet and would have hit an NCAA “B” cut this season. At the 2019 College Station Speedo Sectional Meet she swam the 50/100/200 free as well as the 100 breast, finishing 4th place in the 100 breast and 6th place in the 100 free. She swam all career-best times at this meet, but with prelims being run in short course yards and finals in long course meters, there’s a chance that her best times could have been even faster. By the time Ellie arrives in Austin in the fall of 2020 all but one of Texas women that had a time faster than her in the 100 breast and two women in the 100 free this season (pre-NCAAs) will have graduated, meaning that she could potentially be an “A” relay swimmer as a freshman. It won’t come easy, as she will be joining class of 2020’s #4 recruit Olivia Bray and #16 Grace Cooper, as well as Kelly Pash, Mary Smutny, and Miranda Heckman, all top 20 recruits in the class of 2019.